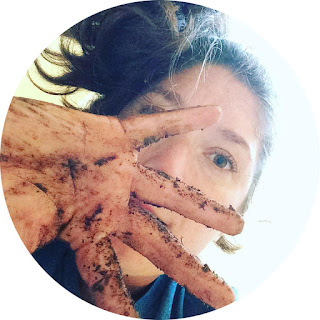 Saving seeds from tomatoes is super easy. Last year I had a friend give me tomatoes from her garden that were delicious. I didn't know what kind they were, so instead of asking and worrying about finding them this spring, I just saved the seeds and planted them this year! In the long run, saving seeds translates to saving cash and acclimating tomatoes to your land and climate. 1. Pick a healthy, vine ripe tomato. 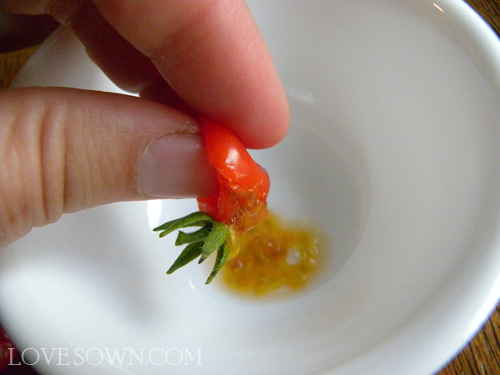 While you are slicing up that delicious tomato, scrape some of the seeds and pulp into a small ramekin. If you are saving cherry tomatoes, just squeeze the whole thing right into the ramekin. 2. 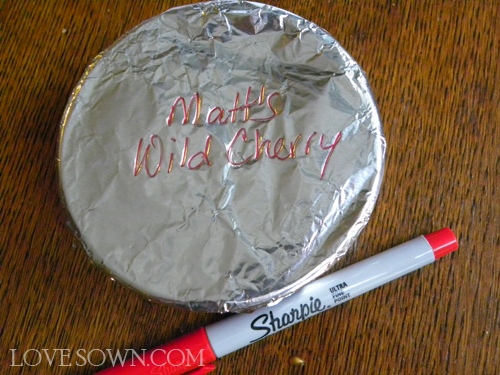 Take a piece of foil or paper, write the name of the cultivar on and cover the ramekin, and place it somewhere it won't be knocked over so that it can ferment. 3. After three or four days, take a peek. If a stinky film has formed over the top, it is ready. Add a little water the the ramekin to swish around and loosen the seeds from the film. After a couple seconds to allow the seeds to sink, pour off the top film layer. Repeat the process to get out the extra pulp and seeds that are floating. 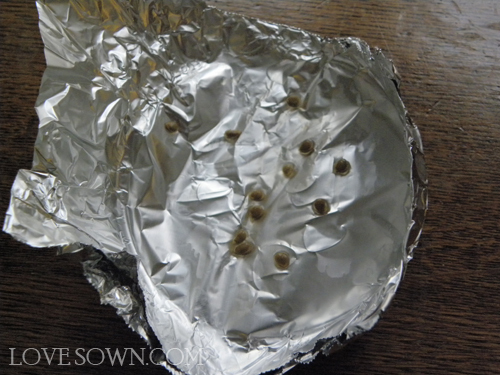 Drain and place the remaining clean seeds back on your labeled foil, and set them out to dry. Don't use a paper towel because they will stick to it. 4. 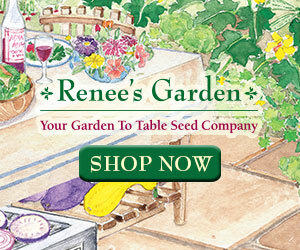 Store them in a zip-lock or seed packet in a dark, cool place until early next spring when it is time to sow them.